You Rock is one of my favorite retired papers, but it available in Studio J and I never run out! 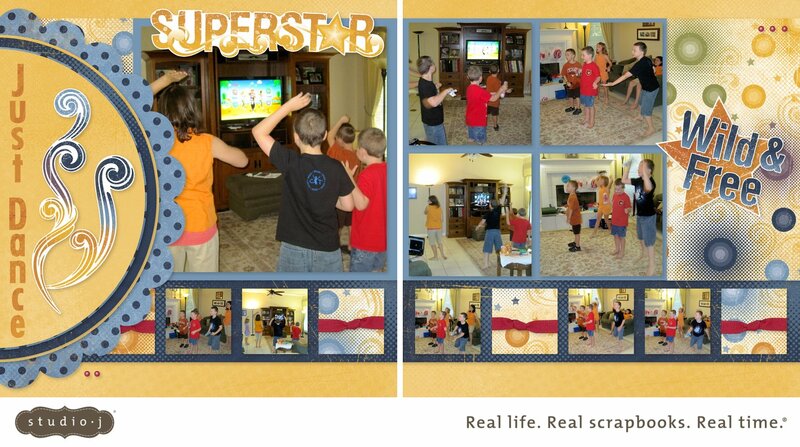 My kids and my friend Dawn's kids were all playing Just dance. It was fun to watch and they had fun doing it! They each got to be their own superstar! They have fun without any reservations! The Stickease titles and the embellishments were perfect for this page and did a great job of expressing the feeling in the pictures! There is a perfect paper pack for every event!